It is a truism – at least in my family – that housework standards have been slipping with each generation. This may be the plight of the working woman, but my Grandmother always managed to get her house glistening, in fact, over the years, her Formica bench was so well wiped that the pattern (faux wood as I recall) actually wore off. My mother seems similarly gifted, although with less time hasn’t yet managed to wear out any kitchen surfaces. As for me, well on more than one occasion people have remarked on my ‘farm-style’ home and kitchen. I suspect that in urban circles this is code for messy. Jesse confirmed it when he once stated “Mummy, we live in a farm house.” “Why do you say that son?” I asked. “Because there are leaves on the floor.” Hmmm. What can I say, it’s autumn. And now, as well as leaves there’re chickens in the house. Not in a permanent way, just the occasional chicken wandering down the hallway for a look-see. Yes, embracing the farm comments, we’ve got chickens. And they are cool (aside from the occasional visit inside, which is not to be tolerated!). Such personalities. So prehistoric looking. And occasionally they even produce eggs. Having catered for the native birds, Tony’s summer project this year was to build a chicken coop out of repurposed pallets (see pallet website). It is truly a work of art. 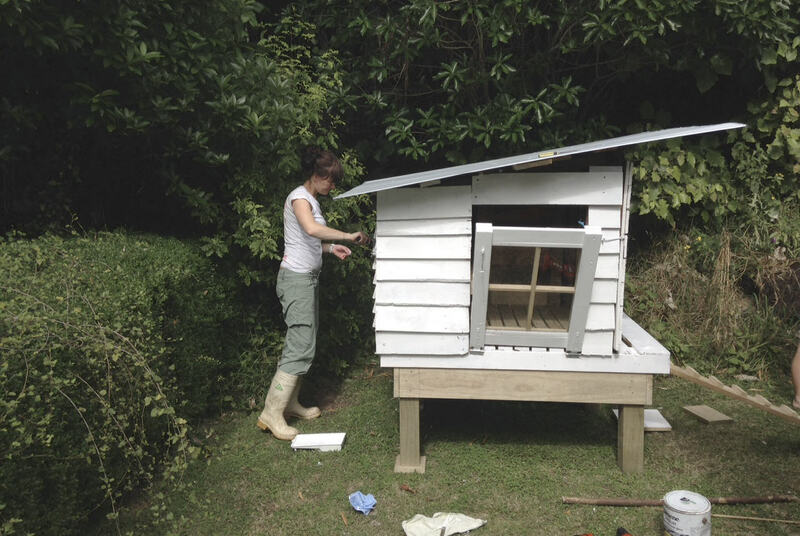 Complete with rainwater harvesting self watering system and weatherboard type cladding it is a little replica of of our house (as well as is possible out of pallets anyway), we even painted it white to match. Then came the chicken selection process. 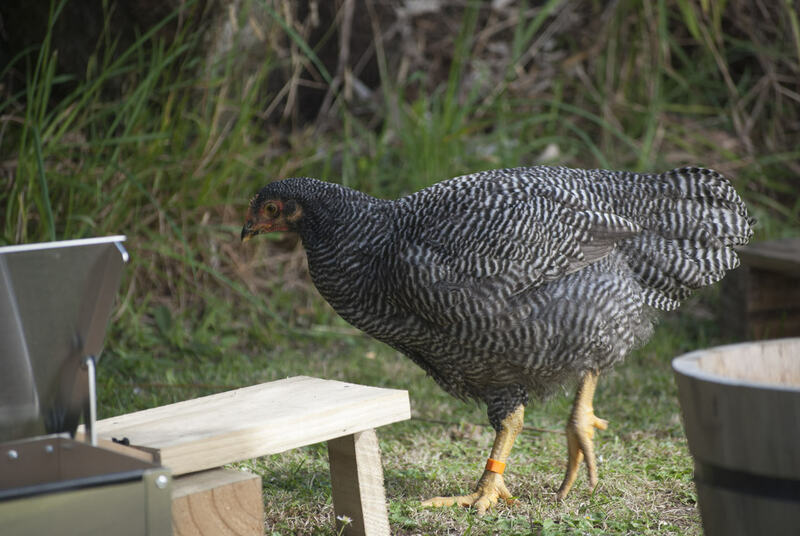 We were/are completely new to this and so researched chicken ownership thoroughly. According to most sources we were to keep the chickens in their coop for anything from 2 weeks to one month. We duly found a supplier of fine chickens courtesy of Trademe. 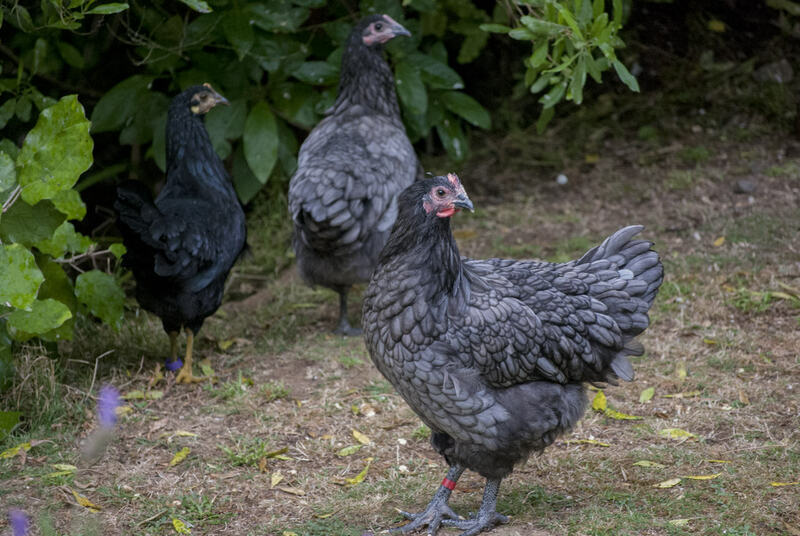 Fell in love with a charming barred rock (named Money-Penny for her Englishness) and two australorps (Queenie and Tiny) and moved them in. One day later we felt it was too cruel keeping them closed up and so gave them their first taste of freedom on a Saturday afternoon. We anxiously took turns minding them, making sure they didn’t roam too far. They scarcely went further than one metre from their coop. That was until it was time to catch them. We had to go to some friends for dinner so it was nowhere near sunset and they were not ready to go to bed. Some very humorous chicken wrangling ensued. One conveniently boxed herself up by landing on top of and falling into the large box we had transported them in. 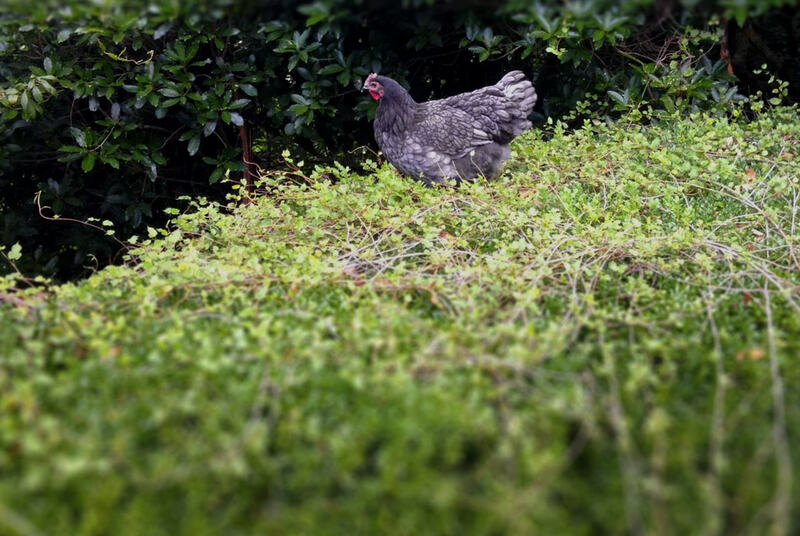 The other was relatively easily caught, albeit in a cloud of feathers, and the last one, the barred rock, led us on a merry chase through the undergrowth and down the steepest bank possible. Eventually they were all safely returned to their coop and we were feeling quite pleased with ourselves. The next day we let them out early afternoon and then when dusk fell, with just some gentle shepherding they were willing enough to return. Ever since then, they have been amazing. They cluck to be let out in the morning, and then pop themselves back into bed at dusk. Impressive. 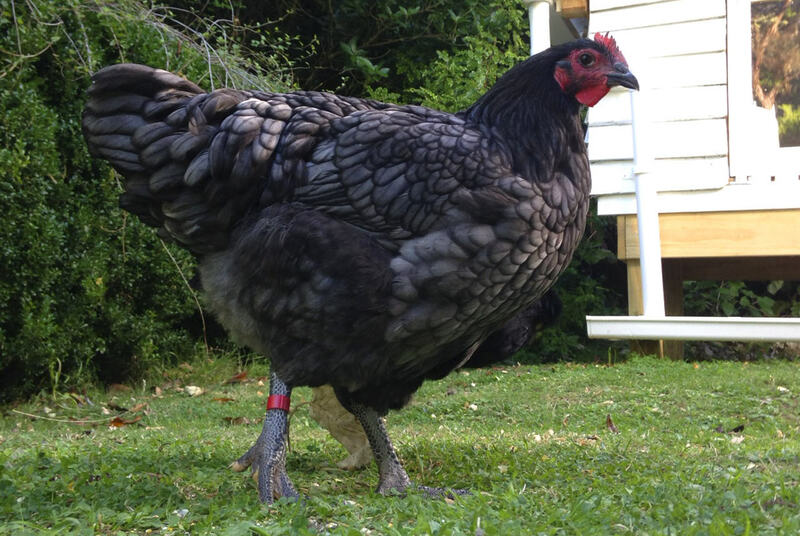 Sadly though it was only two weeks later when we lost the lovely barred rock. We were out and what we think happened was that a dog gave chase, and because the barred rock stood out with her beautiful black and white markings, she was an easy target and got mauled. She was still alive when we found her but could no longer walk. The vet euthanased her (proper farmers we are not! ), and her resting place is now under a rata tree in the garden. Tui was then placed on predator-dog-guard duty every time we went out for the next few weeks. Two replacements were purchased as just two chickens seemed vulnerable and a bit lonely. This time we got two Leghorns, both dark coloured for better camouflage protection. These two we called Jet and Dawn. Then came the wait for eggs. I think the chickens were younger than we realised. Queenie is now finally laying, although as winter approaches, only every second day or so. 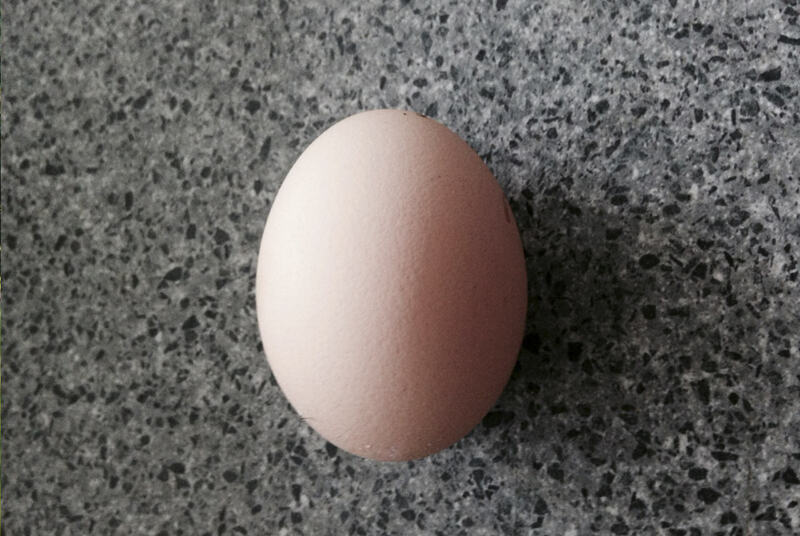 Her first egg was layed obligingly on the back doorstep, and for every one since she has gone back to the coop to lay. The others are still growing their combs so we’re resigning ourselves to it possibly being next spring before we have enough eggs to start giving away. Lucky for them they are so entertaining, so we forgive them the wait. Queenie, so named as she is clearly Queen of the group, comes running like a dog up to us when we get home. It’s Queenie who will wander into the house. She is on a quest though, she is looking for her favourite snacks, sunflower seeds, which we feed her by hand. It is good to have chickens.